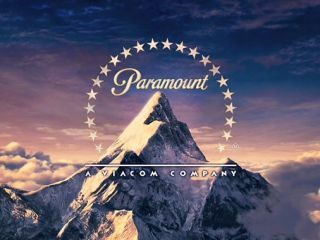 Paramount has sent a damning letter to the FCC outlining its stance on online piracy and explaining why it is not just the computer literate who are downloading copyrighted content on the web. In the letter, the film distributor notes that it has evidence that following the worldwide release of Star Trek the movie was illegally downloaded by some 5 million IP addresses, each taking their files from one of six copies of the film illegally recorded by camcorder. The letter also states that: "Just five years ago, one had to be computer literate and exceedingly patient to pirate movies. Today, literally anyone with an internet connection can do it. "Clunky websites are being replaced by legitimate looking and legitimate feeling pirate movie websites, a perception enhanced by the presence of premium advertisers and subscription fees processed by major financial institutions. It is clear that piracy has advanced from geek to sleek." Paramount isn't just pointing the finger at known copyright flouters (Mininova.org, Rapidshare.com and Megaupload.com) but also the big search engines as well, such as Google and Bing. Getting its information from Alexa.com, Paramount points out that currently a third of all sites in the internet's top 100 play host or link to pirated content. "The flood of stolen content currently available online – including every major theatrical film within hours of release – poses an immediate threat to the motion picture industry, which in 2007 supported 2.5 million jobs, $41.1 billion in wages, and had a trade surplus of $13.6 billion," concludes the letter with Paramount believing that: "content creators must have the legal and regulatory flexibility to use technological tools in partnership with Internet service providers to stem the tide of online copyright theft."